Like the Fairey Firefly, which also basked in the light of the Olympic flame at the Torbay Regatta in 1948, the Swallow class was the result of a design competition set up by the Yacht Racing Association (now the RYA) in 1946. The brief was to produce an exciting small keelboat that would offer a cost-effective alternative to the highly expensive metre boats and Dragons. 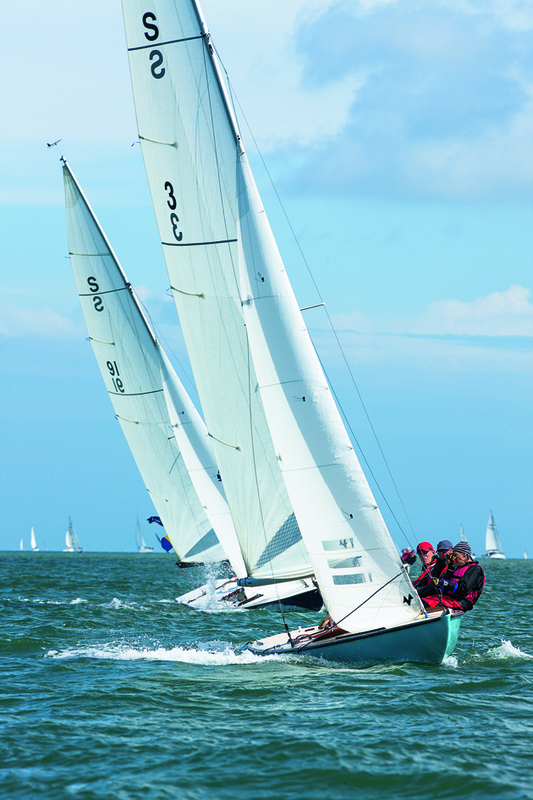 At the time, the waters around the sailing club at Itchenor in Chichester Harbour, were a hotbed of competition. It was here that Tom Thornycroft would have seen the designs of Alfred Westmacott. 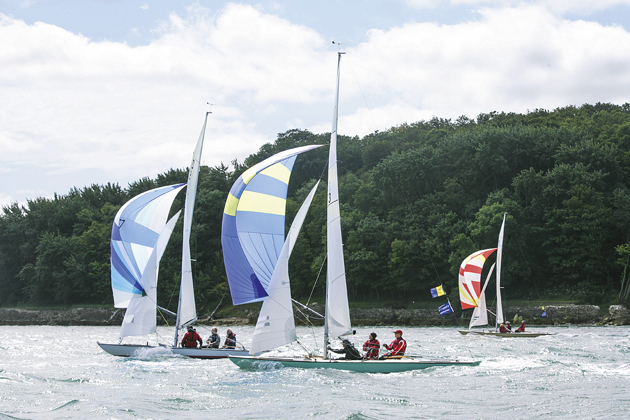 Boats such as the X One Design, Solent Sunbeam and the Nicholson-designed Bembridge Redwing were racing regularly. Thornycroft’s entry into the competition, the Swallow class, drew on these for inspiration and, as an ex-International 14 sailor of note, he added the extra ingredient of sparkling performance. He kept the waterline length as long as possible, pulled in the beam and aimed for a lightweight construction. His sleek design, with a low freeboard, sailed so well that in a good breeze it could plane fast and true like a dinghy. With the rudder hung on the trailing edge of the length keel, the helm on the Swallow was light, almost neutral, in contrast to many of the older one-designs, known for the amount of helm they carried. After the Uffa Fox-built prototype proved that the Swallow was as attractive as it was fast, the new boat won the design competition and was selected for the 1948 Olympic Regatta in Torbay. Here, in the hands of another International 14 sailor, Stewart Morris and crew David Bond, the boat won a gold medal for the host nation. Sadly, this was the only Olympic Regatta at which the Swallow class would appear. In 1952 the Star, which had been used in the 1932 and 1936 Games, would reappear. Despite the loss of Olympic status, the qualities of the Swallow ensured that the popularity of the boat continued to grow, with the main fleet at Itchenor joined by a second strong presence at Aldeburgh on the east coast. The early Swallows were carvel planked in spruce, but with the arrival of modern glues and the development of cold moulding techniques, hulls were soon laid-up using diagonal veneers. The class rules had left much of the deck layout and cockpit plan open, with a number of variations appearing. As one of the more recent one-designs, the Swallow was well placed to weather the decline in small keelboat sailing in the 1960s and was one of the first to embrace the adoption of new glassfibre hulls as early as the 1970s. With the continued interest in the Swallow, the class is reappraising how new boats can continue to be built in a cost-effective manner. It is confident of putting together a package with boats built to order for a figure around £32,000. In the meantime, second-hand boats do come to the market, with older craft needing restoration changing hands for £5,000 and ready-to-go boats priced between £10,000 and £15,000. The class has managed to keep the one-design ethos, yet also keep the boat in line with more modern practices. The lightness of the helm can make sailing the Swallow seem a more intellectual than physical challenge, while the downwind performance can be enough to excite the most fearless of crews. The Swallow class has recognised the benefits of attracting new talent into the fleet, with many of the newer helmsmen coming from the top echelons of the dinghy sailing scene. It is easy to see why: the affordable nature of the class and the competition it offers creates an attractive package. In addition to the national championships, which are always sailed on open water, the Swallows have enjoyed a class start at Cowes Week every year since 1948. The regulars are joined by some young teams which race in one of the bursary boats supported by the class. The bursary scheme began with one boat, was expanded to two and, with the number of applications growing, the class hope to make even more boats available. The boats were originally built in carvel construction then cold-moulded, but since 1974 they have used glassfibre. 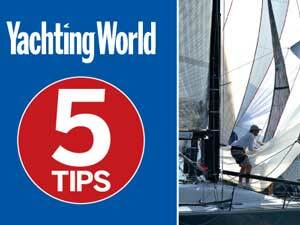 New boats are now built at a competitive price, a key factor in keeping the class vibrant. With the large rudder hung on the trailing edge of the keel, the Swallow is beautifully balanced, making the boat a real pleasure to sail upwind. Unlike some local one-designs, the Swallows allow hiking and with the powerful rig and slender hull the boat rewards hard work! Another recent change to the rules has been to allow a longer spinnaker pole (stowed on side of boom), which can now be made of carbon fibre for ease of handling. In the past Swallows have been know to founder, but today’s boats have bulkheads partitioning the fore and aft decks to provide plenty of reserve buoyancy. With a beam of 5ft 6in (1.67m) the Swallow can be a wet boat when pushed hard. The full width washboards are an essential feature. The Swallow hull is very low profile, having a mere 11in of freeboard amidships. In a confused sea state water can be taken aboard, but the rules now allow the use of self bailers, to help keep the cockpit dry. 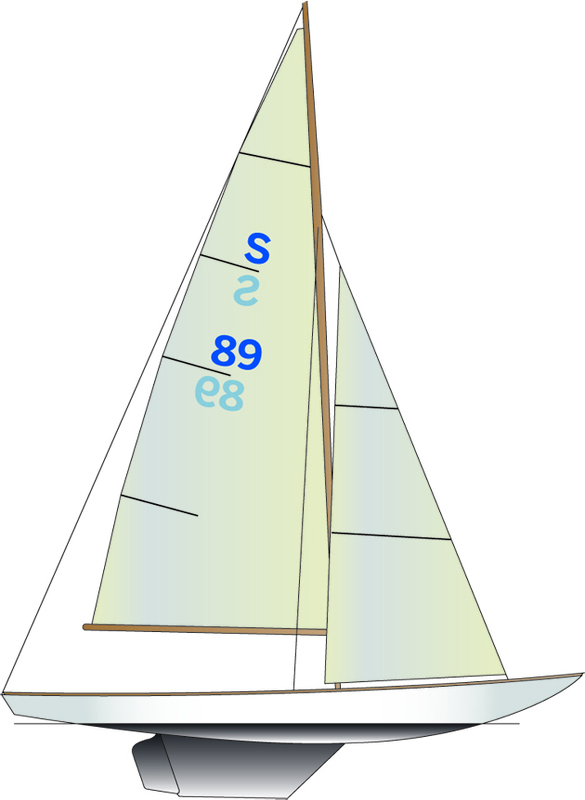 The latest changes in the rules have allowed a lower cut to the jib, which sets better and makes for more efficient sail setting.